Home » awards , blogging » Scrumptious Kaddu! By the way, the Award also came with a tag -- but I have already done that tag last month. So just posting the link to it again -- "The ABC Tag". And I pass on this Award and the Tag to Mukund, Tangerine and Iggy. Congrats!! 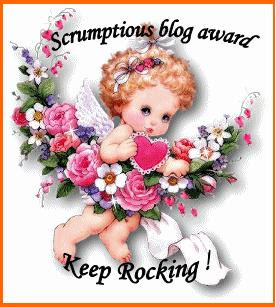 its raining awards on your blog it seems. i liked your signature after each post.Can you teach me how to do that? is that a picture you paste? Yupp, it sure is! Earlier it was raining tags! And now awards! Ha ha ha! The signature: I have just replied to another visitor. Chk the comments on my previous post (Zombie Chickens). If you need further help, let me know. My email id is there on my blogger profile. Congrats dude, you are doing good.